Self-described ‘television prankster’ John Safran confirms that he’s a major writing talent with his second book. 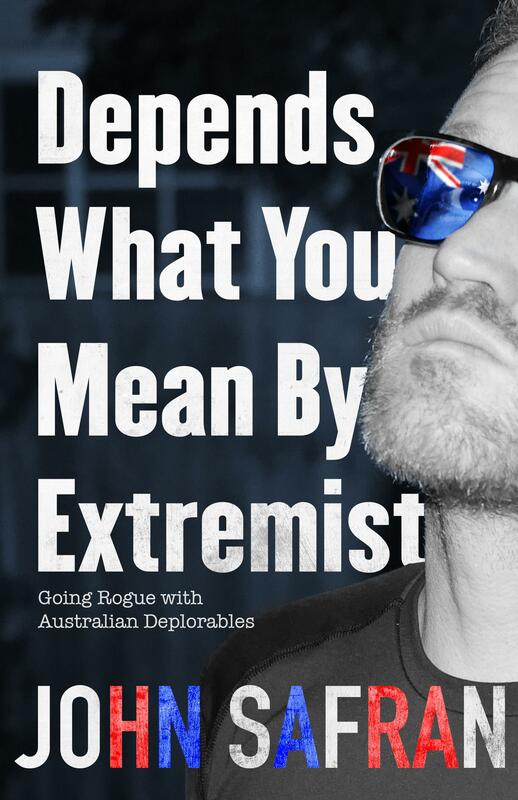 Here, he embeds himself with Australian political extremists and attempts to tease out the many contradictions between what they do and what they publicly stand for. Like his professional doppelgangers, Jon Ronson and Louis Theroux, Safran has a gift for eliciting information from his subjects, by way of his unthreatening, yet relentlessly questioning persona. Most of the time, this works even when his subjects know who he is. A central thread of the book concerns the circular way he and his subjects use each other to craft their own messages. For example, an Italian-Aboriginal anti-Islam activist (Safran discovers the movement to be surprisingly ‘multi-ethnic’) entices Safran into smoking a joint with him, then posts photos on social media, implying he’s on their team. Safran has a rare gift for deadpan, often observational, humour (‘I’ve been into racists since high school’), which he blends with serious dissections and open questioning of the political landscape. While his sympathies are small ‘l’ liberal, he doesn’t let this pre-empt his opinion, or distort his observations. His perspective as a Jewish Australian adds a fascinating dimension, including comparisons between the Qu’ran and the Torah (with the help of a rabbi) and reflections on the resurgence of anti-Semitism alongside anti-Islam.